Choosing the best cleanser for your body comes down to what's best for your skin type and your personal preference. Whether you choose a bar or a bottle, many body cleansers may all have the same effect. All ingredients in our body wash are derived from natural sources, helping to protect the health of your skin along with gently cleanse, moisturize and nourish your entire body from head to toe. Such as, Jojoba strengthen and fortify. 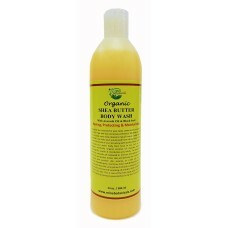 Organic coconut oil, Avocado, black seed, and aloe gently nourish & moisturizes your body. The body wash is perfectly & naturally pH balanced to remove dirt without stripping natural oils, and protect tender skin and delicate hair. Gentle enough for babies with sensitive skin, eczema, or cradle cap. No harsh chemicals, Hypoallergenic, Tear-Free, Color-Safe & Naturally Non-Toxic. Our body wash does the same job as chemical counterparts, helping to release surface tension and loosening oil and dirt, while still being mild and kind to the skin. 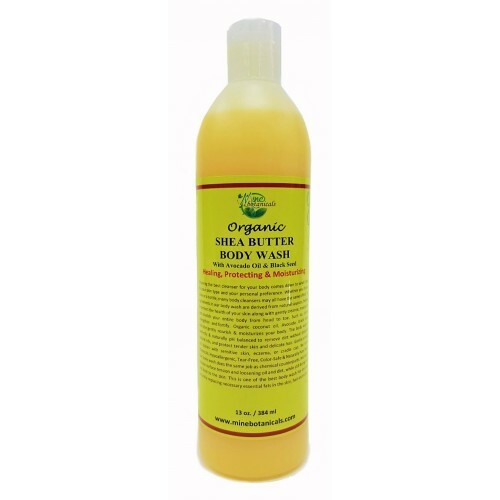 This is one of the best body wash for dry skin, naturally replacing necessary essential fats in the skin, hair and scalp. Use: Wet hair and skin with warm water. Apply to washcloth or hands, lather, gently massage over entire body and scalp, then rinse. Or add a capful to warm water to create a spa bath. **For external use only. Avoid contact with eyes. Natural ingredients may vary in color & consistency. If irritation occurs , discontinue use. Ingredients:- African Black Soap, Deionized Water, Raw Butyrospermum Parki (Shea Butter), Black Seed, Avocado Oil, Sunflower Oil, Hemp Seed Oil, Almond Oil, Coconut Oil, Cocoa Seed Butter, Jojoba Oil, Vegetable Glycerin , Vitamin C, Dead Sea Salt, Tocopherol (Vitamin E) , Palm Kernel, , Olea Europea (Olive Oil) , Aloe Barbadensis Leaf Juice, Sodium Lauroyl Lactylate (Silk Protein), Guar Gum, Grapefruits Seed Extract & Natural Fragrances.